Open to any person with any disability or medical condition – most charitable complementary therapy providers focus on one specific user group or health need – such as MS, HIV or women or children. 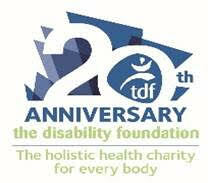 TDF has no boundaries or barriers – we will treat anyone. We also care for the carers – the often forgotten aspect of disability – carers and those around the person with the disability are equally as affected.